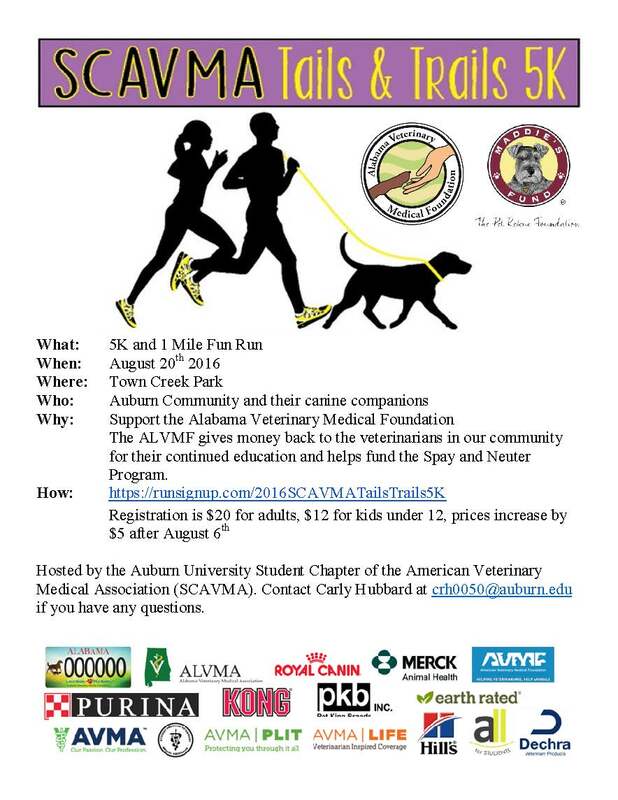 The Auburn University Student Chapter of the American Veterinary Medical Association is hosting their “Tails and Trails” 5k and one mile fun run this Saturday, Aug. 20 at Town Creek Park in Auburn. Bring your dog and help support the Alabama Veterinary Medical Foundation! Registration is $25 and can be completed online.